Voice Acting is nothing new to the gaming industry. There’s tons of good examples of excellent voice acting, and many more examples of how it can single handily ruin the entire gaming experience. 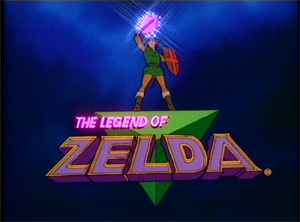 So, why should Nintendo even bother trying to insert it into the legendary Zelda franchise? It’s hardly revolutionary, and it has a pretty big chance of hurting whatever game it is used in. Plus, it’s not like the text is bad, and it could possibly even make the game not feel like it’s Zelda anymore. Again, why bother with it? Because it will take Zelda to the next level. Wait, how is that even possible? Nintendo recently has been playing around with voice acting in a different franchise: Metroid. Metroid Prime 3, specifically, is a fine example of the sort of direction that I feel would be excellent for Zelda. While the voice acting itself was pretty spot on, the big thing they were careful to do was make sure Samus herself did not speak. In doing this, it still allowed the player to feel like Samus was really them, while still getting the type of voice responses you expect from the people around you. They are exploring voice acting even more it appears in Metroid: Other M, although it looks like Samus may speak, at least, in the cut scenes shown. Still, it shows Nintendo is willing to go the route of voice acting. So, the question is, why shouldn’t Zelda have it? Zelda is more popular then Metroid, that isn’t really the debate at this juncture. However, people mostly don’t want voice acting in Zelda because they are afraid. Throwing out excuses like “it’s not revolutionary and it will ruin my experience because I have different views on x persons personality in the game than my friend does”. To be completely honest, I find this to be hogwash. Look at Twilight Princess: It’s really clear what the intended personality is of almost every character. You can tell in the way they talk, the way they act, and their facial expressions. Heck, Midna herself technically talks, just in a language we don’t understand. Come to think of it, even Link’s personality is fairly well defined, and he is suppose to be the player. So, how could voice acting not add to that already defined personality? Being able to actually hear someone talk to me is a major story line and depth adding feature set that I still wonder why it’s taken this long for Nintendo to even try and put voice acting in their games. The main person behind Zelda these days is Eiji Aonuma. Shigeru Miyamoto has long since dropped off as the lead man on Zelda, and thus put his efforts more into new franchises, as well as older ones, such as Mario. Naturally, he is still involved in the Zelda series, but as Eji’s reflections on the things that lead to Twilight Princess show that Miyamoto’s involvement is minimal. Though, one of the best features that was used poorly, horseback combat, was a tip Miyamoto threw at Eji early on. Miyamoto meanwhile went on to push hard for orchestrated music in Mario Galaxy, and excelling that Mario plat former game play to a completely new level. Mario Galaxy is now considered one of Miyamoto’s finest works. So, what of Zelda? Why isn’t there voice acting? Miyamoto warned Eji that to make a realistic looking Zelda you had to do things that didn’t seem quite right with a different art form. In this case, voice acting fits beautifully into the realm of realistic Zelda. Maybe ol’ Miyamoto simply needs to get more personally involved again to make this a reality. So, after realizing now why voice acting may have taken so long for consideration, and putting a few of the fears of gamers to rest, I have still to answer why voice acting should be in Zelda. The question is really, why not? Copying what other games have done, or are doing, doesn’t mean Zelda is out of fresh ideas, or that it’s a cop out. It’s called keeping up with the times. Zelda feels out of date, and often times the most enjoyable part of any of the games is the nostalgia I feel during certain parts. That should be why I love Zelda, but that should not be why the newer games make me want to play them. I should want to play them for them being excellent in their own right. 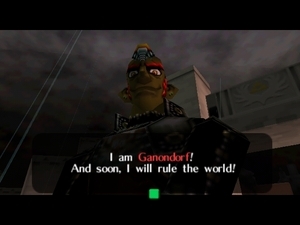 Instead, here I am still killing Ganondorf, yet again, playing around with the Triforce, dealing with someone always telling me what to do (Navi, Tatl, King of the Red Lions, Midna) all while getting the same sort of experience I have had since A Link to the Past came out. The experience needs to expand, it needs to be built off of. Something like horseback combat is a start, but I don’t really think the game play itself needs anything other then some minor tweaking, and maybe some cool motion controls. Personally, the game needs more personality, stories that make things matter, and while that is still achievable without voice acting, I feel voice acting good be just the added layer of depth that may make the players care that much more about what is going on in the world. Are people really afraid of what is happening around them? I want to hear the sound of fear in their voice. Is Ganondorf really as cocky as they make him out to be? I want to hear it. I want to hear him tell me what I can’t do, hear him act like he is a god, because it would make that final blow so much more satisfying. 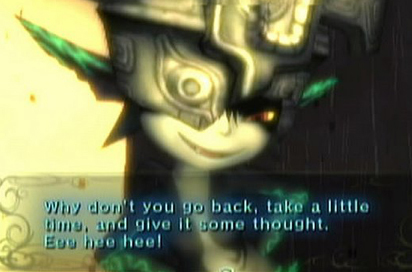 The blabbing talk that came from Midna is the same blabbing talk that made me feel a special connection to the character. This reason alone is why Zelda is long overdue for it. I’m not alone in this thought either. In IGN’s review of Metroid Prime 3, Zelda is brought up twice in comparisons. One of those mentions was voice acting, and how they want it in Zelda. Everyone who wants it has different reasons for it, but I feel it’s the culmination of all these reasons that will make it well worth the risk. All I am saying is don’t knock it till you try it.